According to Zenith’s Advertising Expenditure Forecasts on ad ex trends, online video and paid search are driving the growth in global ad spend, as advertisers focus on personalized and targeted communications. With advertisers now able to use these channels to target with pinpoint accuracy and serve personalized messages, they are increasing both the efficiency and effectiveness of campaigns. Between 2018 and 2021, online video advertising will grow at an average of 18% a year, twice as fast as other forms of internet display advertising and well ahead of any other channel. Paid search is not growing as quickly in percentage terms – it will grow at an average of 7% a year over this period – but in dollar terms will contribute even more to global growth than online video. The application of AI techniques, better location targeting, integration with commerce and the rise of ‘in the moment’ search are all making search more effective for advertisers. The report forecasts that between 2018 and 2021, online video advertising will grow by US$20bn, while paid search will grow by US$22bn. Between them, these two channels will account for 60% of the extra ad dollars added to the market over this time. By 2021 television and video are expected to have a combined 48.8% share of global ‘display’ – a higher share than television ever achieved on its own. Taken together, television and online video are working harder for advertisers than ever before. E-commerce advertising – advertising that sits alongside and within search results and product listings on e-commerce sites – is well established in China, but is only just starting to get going globally. 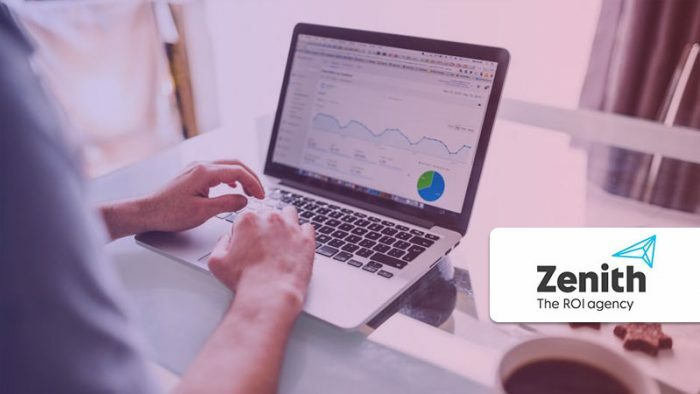 Zenith believes it has the potential to transform the way brands convert customers online and add about US$100bn of new money into the global advertising market. E-commerce advertising has risen from 0.8% of all ad spend in China in 2009 to an estimated 18.2% this year, driven by investment by companies like Alibaba in turning e-commerce into advertising revenue. Until recently, e-commerce platforms outside China have largely focused on direct sales to consumers at the expense of advertising, but that is now changing. Amazon generated nearly US$5bn in advertising revenue in 2017 as a whole, and in Q3 2018 its ad revenues grew by 122% year on year. Other shopping platforms are following suit by investing in their own advertising activities. Globally, e-commerce advertising is about as advanced as it was in China at the end of the last decade. Amazon accounted for 0.8% of global ad spend in 2017, the same proportion that Chinese e-commerce occupied in 2009. If e-commerce follows a similar path globally to the one it followed in China, it could account for 18% of global adspend by 2027. That’s equivalent to over US$100bn in today’s ad market, representing a huge revenue opportunity for the platforms, and a whole new way for brands to reach customers at the point of purchase. This money typically comes from brands’ commercial teams rather than their marketing teams, from budgets set aside for negotiating with retailers. It is therefore new money to advertising and should expand the market without cannibalising money spent elsewhere. We estimate that global advertising expenditure will grow 4.5% by the end of this year, boosted by the Winter Olympics, FIFA World Cup and US mid-term elections. Growth will then remain steady and positive for the rest of our forecast period to 2021, at 4.0% in 2019, 4.2% in 2020 and 4.1% in 2021. Zenith forecasts that ad spends for India in year 2018 will close at Rs.62, 699 crores. Total adex for India will see an increase of 15% and climb up to Rs. 72, 169 crores in 2019. India remains one of the fastest growing economies, with strong GDP growth of over 7%, led by reforms in sectors such as retail, infrastructure, manufacturing, and services. Given that a significant part of the population is below 30 years of age, there is likely to be continued consumption-led growth with less reliance on export-led momentum. This should give a boost to businesses across the board, ad investments and government initiatives. However, 2018 has also seen the depreciation of the rupee and oil price volatility. The overall expectation is that oil prices will stabilize, giving Indian consumers more disposable income. Indian consumer confidence continues to remain relatively high. Tanmay Mohanty, Group CEO at Zenith said that many parts of India were experiencing digital transformation, led by mobile. This will accelerate categories such as banking, financial services, healthcare, entertainment and sports, travel and lifestyle. “2019 is the year of the Indian General Elections. These and the State Elections will boost marketing spends. Additionally, the Cricket World Cup and the Indian Premier League will drive growth.” Mohanty said. “Digital will continue to accelerate both in reach and consumption. Television – linear and catch-up will be on an upward curve. The expectation for radio is that it will digitize aggressively in response to streaming services while both cinema and out of home (OOH) will innovate and increase reach-led investments. Print will thrive on regionalization.” Mohanty added.